Recently I drove past Kersbrook Hill Wines & Cider. I don’t really know what posessed me to pull a u-turn and stop in at the cellar door, because I am not really a big drinker… but I did and I ended up leaving very happy. The story the gentleman running the cellar door shared with me about how they produce their cider was nothing short of inspiring. They use apples from a local orchard (which would usually be left to rot), and the pulp left behind from the cider production is used by another local farm to feed their pigs. This is what community produce is all about. I was also really impressed that they dont sweeten their cider at all – no added sugar! So to cut a long story short, I have been thinking about what to do with this case of cider ever since. 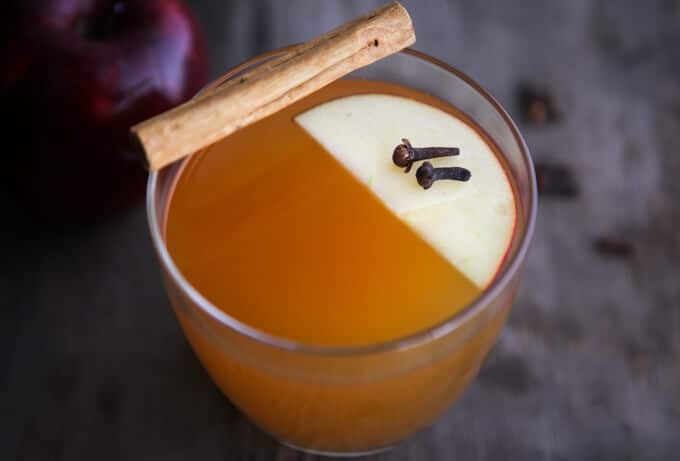 This is a beautiful spiced cider and given that we celerbate Christmas here in Australia during summer – I have chosen to serve it chilled, but you could enjoy it hot if you wanted. I hope you love it and please check out the Kersbrook Hill cellar door if ever you are in South Australia. Squeeze the juice out of your orange roughly, into the mixer bowl along with the squeezed orange flesh/rind and remaining ingredients. Cook for 25 min/70°C or 160°F/speed 1/MC on. 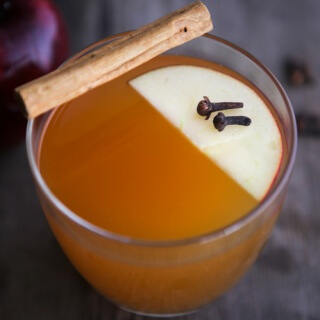 Without straining, pour your mulled cider into a glass serving karaf. Allow it to cool completely before chilling in the fridge overnight. Alternatively, you can put it on ice to speed up the process. Serve strained, with fresh sliced fruit. I’m looking at doing this for Halloween in the UK I assume it would be fine made in advance and warmed up. Anyone done this? This was delicious!! I was worried it would be a little bland but as the chicken cooked, it infused with some lovely flavour! You’re a champion Nik!! I served this at our Christmas dinner as a welcome drink. Everyone raved about it. Awesome. Wowsers another awesome recipe from the never disappointing Nic from SM! Whipped up this bad boy for Chtistmas. The only difference being I used Sparkling Apple Juice and strained (apart from the vanilla bean) before chilling overnight. Shall be an annual tradition. Thanks ever do much. I made this on the weekend for our (early) Christmas lunch. The smell was devine when I cooked it on the Saturday and the flavours didn’t disappoint on the sunday, beautifully refreshing on a 38 degree day. I underestimated how many would like to try it and had to top it up with mineral water to get it to stretch to my 12 guests. Shall be making this for the family on Christmas Eve to bring over – a few cider lovers will be impressed, I’m sure!